Packaging solutions provider Parkside has launched a new fully recyclable single polymer laminate to support the circular economy. The new laminate, recoflex-PE, is made from 100% polyethylene (PE) which enables the packaging material to be recovered through the carrier bag collection and recycling infrastructure. Consumers can also take it to retail stores with collection points. Recoflex-PE has barrier properties and sealing performance that mirrors a range of commonly used laminates in the flexible packaging sector that are not currently recycled, said Parkside. The laminate design brings two grades of PE together and creates a functionality including printability, mechanical strength and high barrier to ensure that it’s suitable for a wide range of flexible packaging applications, compared to other standard PE materials on the market. It can be used for most flow wraps, pouches or bags that require a high barrier, and are not designed for use in elevated temperatures. 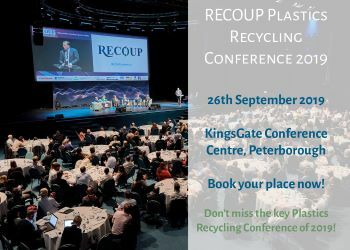 Recoflex-PE is set to be validated with recyclers and the OPRL scheme and will be available for production trials with customers, with the first market launch expected to follow their conclusion.